All Able Distributors locations will be closed on for the holidays on 12/24, 12/26, 12/31, and 01/02. You can view our full holiday schedule below. Have a happy (& comfortable!) 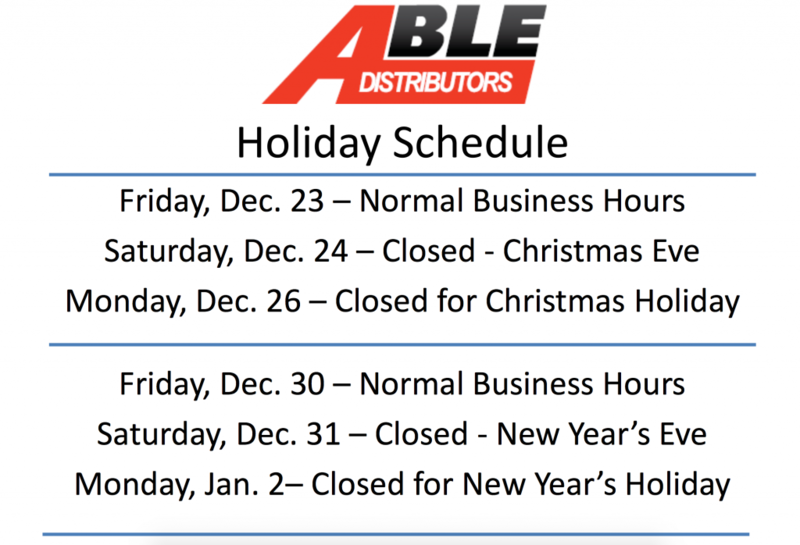 holiday season from everyone at Able Distributors! Meet the HCP Vacation Giveaway Winners!